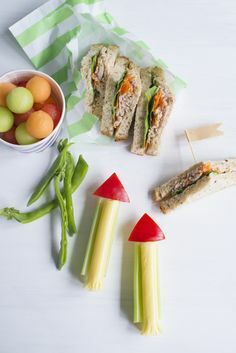 One Handed Cooks is a baby, toddler and family food website that features a wide range of simple, healthy and clever recipes to help parents make food a source of enjoyment and nourishment for their children. Written with an Accredited Practising Dietitian (APD) as part of the team, it also offers friendly and realistic nutrition information, as well as tips and strategies to help manage fussy eating behaviours. They have written a collection of much-loved magazines, in 2016 they published their best-selling, self-titled cookbook One Handed Cooks, How to raise a healthy, happy eater – from baby to school age, and in 2019 they are very excited to launch their new cookbook, Boosting Your Basics, Making the most of every family mealtime – from baby to school age, both with Penguin Random House Australia. They have since become an Australian leader in the area of baby, toddler and family food. Please come and join the friendly and engaging One Handed Cooks community on social media and say, ‘Hello’. Allie is a former advertising copywriter, devoted mum of three, writer and cook with more than six years of hands-on childcare experience. When her first child, Harry started solids in 2012 she found herself preparing food with a baby on one hip and was keen to connect with other parents and share her positive experiences. Allie is passionate about feeding children nutritious, homemade food and making mealtimes happy, and she has inspired families around the world to make positive, healthy changes for their children. Editor and co-writer of the One Handed Cooks magazine. Co-author of One Handed Cooks: Raising a healthy, happy eater from baby to school age (2016) and Boosting Your Basics: making the most of every family mealtime – from baby to school age (2019), both published by Penguin Random House Australia. Jessica is an Accredited Practising Dietitian, devoted mum of three, writer and cook. Jessica has a passion for starting solids and inspiring families to enjoy happy mealtimes and a healthy love of food. She combines her personal journey as a mum of three fun-loving boys with 17 years of evidence-based training and experience as a dietitian to simplify the science and educated parents in a friendly and practical way. Jessica continues to gain an understanding in all areas of feeding children with further training in ‘Picky Eaters vs Problem Feeders: The Sequential Oral Sensory (SOS) Approach to Feeding’ and ‘Making SENSE of Mealtimes’. Overseeing Dietitian and co-writer of the One Handed Cooks magazine. 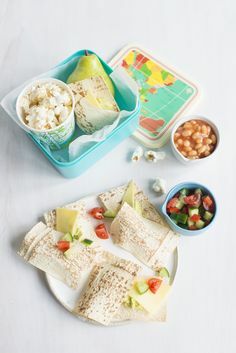 Co-author of One Handed Cooks: Raising a healthy, happy eater from baby to school age (2016) and Boosting Your Basics: making the most of every family mealtime – from baby to school age (2019), both published by Penguin Random House Australia. Sarah is a dedicated primary school teacher and much-loved aunty of five with a passion for baking. A co-director of One Handed Cooks, she loves capturing the enjoyment of childhood and cherished food moments while showcasing simple, wholesome food to perfection. Recipe tester, photographer and food stylist of the One Handed Cooks magazine. Photographer of One Handed Cooks: Raising a healthy, happy eater from baby to school age (2016) and Boosting Your Basics: making the most of every family mealtime – from baby to school age (2019), both published by Penguin Random House Australia.